More broadly, McDonald's can glean valuable insights by gathering data on its 68 million daily customers. The fast-food chain plans to integrate Dynamic Yield's technology into digital menus and self-serve kiosks in locations around the U.S, beginning this year. The deal is valued at more than $300 million, making it the largest McDonald's deal in two decades, according to Reuters. Dynamic Yield will remain a standalone company following the transaction, and McDonald's will continue investing in the company's core personalization products. It would enable the fast-food chain to customise the electronic menu boards' display of items, depending upon various factors such as weather, regional preferences and the time of day, mentioned the daily. The Israeli technology will join McDonald's other inroads into tech-based services, including the development of McDonald's Global Mobile App, Mobile Order and Pay, indoor and outdoor digital menu boards and self-order kiosks, the statement said. R.J. Hottovy, consumer strategist with Morningstar, said McDonald's has been pretty successful in recent years for simplifying its operations. Dynamic Yield can also suggest and display items. 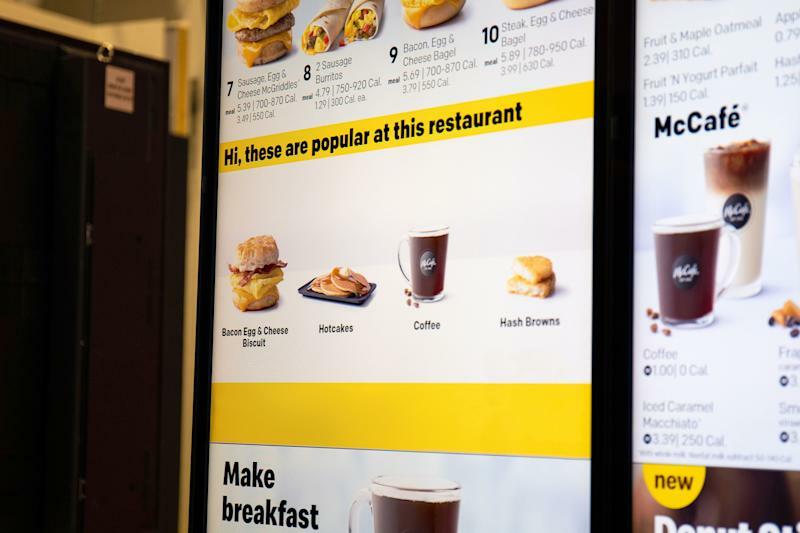 McDonald's CEO Steve Easterbrook said: "Technology is a critical element of our Velocity Growth Plan, enhancing the experience for our customers by providing greater convenience on their terms". Dynamic Yield will allow McDonald's to personalize its popular drive-thrus in a bid to sell additional items and by extension, make more money per visitor. Tel Aviv-based Dynamic Yield was able to raise USD80 million from various investors including China's Baidu, The New York Times and Deutsche Telekom. Plans to expand internationally will happen at a later date. The technology will be rolled out at McDonald's Drive-thru restaurants in the United States in 2019 and will be swiftly expanded into top worldwide markets following. Most importantly, investment in technology, whether through partnerships like Uber Eats to grow its delivery business or flat out acquisitions like Dynamic Yield to digitally optimize all points of the McDonald's experience.